Dating apps are relatively new and still developing and evolving as I write this. It seems every year a new dating app is made available. While most do the same thing the same way, some are creative and even ingenuitive. The app you use the most would depend on the one that gave you the highest rate of success i.e. most female hookups. People looking for an affair time and time again choose Tinder. It may seem like a bad choice for a married person, but in fact, it’s great for affairs. Below you will learn why this is true and how you can successfully use Tinder to find an affair. Best of all you will learn how to do it safely and discretely! One thing anyone thinking about finding an affair has to keep in mind is doing it without getting caught is what matters most. Most people lose their minds when you say you are going to use Tinder for an affair finder. “BUT it connects to your Facebook! Everyone will see your profile and someone will tell your wife!” This isn’t necessarily true, however. Married men searching for affairs are not idiots. Oh no. We understand subterfuge and discretion better than your average fella. The solution is to set up a Facebook profile completely separate from your real one. You can dedicate its use strictly for signing up on these hookup apps and never worry about being connected to it. Read How To Make Your Facebook Account Private. There is no beating around the bush with this app. You came to find a hookup and that’s what they are going to give you. There are no full pages of “about me” with cheesy photos of pets and sunsets. No, Tinder is pretty cut and dry. You get a photo, presumably the best photo that person has, and asked to express interest. Yay or nay. Simple as that. You swipe left or right to distinguish your preference and your off to the races. 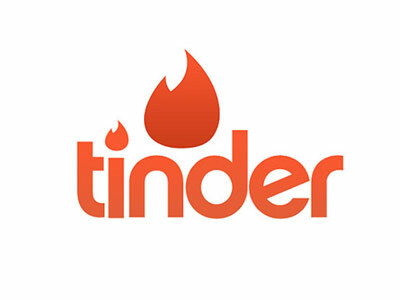 Tinder has been attacked for being a popularity contest but isn’t that how it’s always been? All the way back in kindergarten the boys flocked around the prettiest girl. Nothing has changed. The ease of use is a big factor. Tinder makes getting right down to business about as fast as it could possibly be. To register you upload a few pics of yourself with a tagline. You’ll want to say more with less so give it a bit of thought unless your one of those lucky fellows who can whip something witty off the cuff without a moment’s notice. Once you’ve got your photos uploaded it goes into rotation with everyone else’s. Women all over are seeing your photo and giving it a swipe. No one knows who sees what or who looks at their remaining photos until both parties have expressed an interest in each other. Tinder does base its matches on your GPS location (How GPS Works) so that you can find interested women close to you. However, this could pose a problem for the married man. Rest assured your wife, younger sister or kid in your Sunday school class will be on Tinder and see your pic making its way across the cyber highway of passion. Thankfully, you can turn off this function and enter another location for your pic to circulate. Perhaps in a town three counties over from yours. Wherever you choose, just make it far enough away not to get caught but close enough so it isn’t a huge inconvenience. It’s hard to get back out on the dating scene when you have been married for a while. It is especially nerve wracking when you are still married and plan to stay that way. At least, hope to stay that way. Your nervous about approaching someone and the idea of rejection makes you want to throw up. Using Tinder lessens the rejection factor to Zero. Since it only hooks up the people with a mutual interest, you never have to be faced with another pity filled look and rejection. She will ever know you ever swiped yes for her and you won’t have to worry about getting turned down. When you are having an affair, it isn’t any knowledge that you really want to get around. You don’t want to put the word out to a hundred thousand women at the same time. A lot of dating sites, even those geared toward affairs and cheating, allow anyone else on the site to contact you. (How safe is online dating?) Anyone. Tinder keeps contact to a minimum by only allowing you to communicate with someone who returns your admiration. In other words, if you both swiped right on each other’s pictures you can start messaging each other. Those are the only people who can contact you. Tinder can be more helpful than a lot of apps for finding an affair. However, since it isn’t designed for married people, there aren’t any specific safeguards in place for that reason. With that in mind, make sure you take your own precautions and enjoy the wonderful world of Tinder.